The Indian Budget will give foreign investors much to cheer and boost Modi’s re-election prospects, writes India Inc. Founder & CEO Manoj Ladwa. Budget 2019 could, in the final analysis, be the proverbial last-ball six that seals a hard-fought cricket match. In the run-up to the Narendra Modi government’s last Budget before the Lok Sabha elections due in three months, there was much speculation over its fine print, with some analysts predicting a please-all giveaway festival aimed at garnering votes that would throw fiscal prudence to the winds. Having followed Modi closely since his time as Chief Minister of Gujarat, I knew he was not given to populism even during the election season and that he was a firm believer in fiscal discipline. But I had also seen on numerous occasions that he was a master of political timing and that could, to carry forward the cricketing analogy, quickly ramp up the scoring rate while playing the ball all along the ground, i.e. without taking any undue risks. Balancing fiscal prudence with political populism is not an easy task but Modi and Finance Minister Piyush Goyal have proved the naysayers wrong. The Indian Budget will give confidence to foreign investors that Modi’s deep structural reforms and four-and-a-half years of hard graft cleaning up the economy are paying dividends. This Budget, presented by Goyal has all the hallmarks of the Vintage Modi. It is a powerful political statement; make no mistake about that. And the Modi government was well within its rights to make it. After all, every interim budget till date has been, in part, a political and economic report card of the incumbent government’s term in office. It is also very coherent as it has strung together the different strands of the economic narrative that has come to define Modi’s first term in office. I use the word consistent because despite the massive giveaways to important constituencies like farmers and the middle class, Modi has stayed true to his beliefs and the path of fiscal prudence he has so scrupulously followed. The fiscal deficit, which is a proxy for how much the government borrows, for the current financial year will be 3.4 per cent of GDP, a minor slippage from the targeted gap of 3.3 per cent. The figure for 2019-20 is projected at 3.4 per cent as well. I don’t think foreign investors or macro-economists, who look at this figure as a measure of the government’s fiscal management skills, will lose much sleep over that, given that the money spent here will go towards boosting consumption. It is slated to fall further to 3 per cent in 2020-21. This is in line with the government’s earlier commitment. The current account deficit (CAD) for 2018-19, i.e. the current financial year, will be 2.5 per cent of GDP, a very manageable figure. It is credible because the Modi government now has a five-year track record of delivering on its promises within budget and in a time-bound manner. And it is comprehensive because it touches every section of Indian society – farmers, the middle class, workers, the unorganised sector and youth. As Finance Minister Goyal said, the government has, in this term, laid the foundation for sustained economic growth in the years to come. He laid out a vision to make India a $5 trillion economy in five years and a $10 trillion economy eight years from then. That foundation is in the form of the Insolvency and Bankruptcy Code (IBC), the Goods and Services Tax (GST) and the fight against black money. IBC has changed the banking culture in the country. No longer can the big fish borrow billions from public sector banks, renege on their repayment commitments and laugh all the way to their banks. In the recent past, even the biggest borrowers, many of them dollar billionaires, have lost control of their flagship companies on account of delinquent borrowing habits. As a result, company owners have repaid more than Rs 3 lakh crore ($45 billion) of previously dodgy loans and helped improve the credit culture in the country. 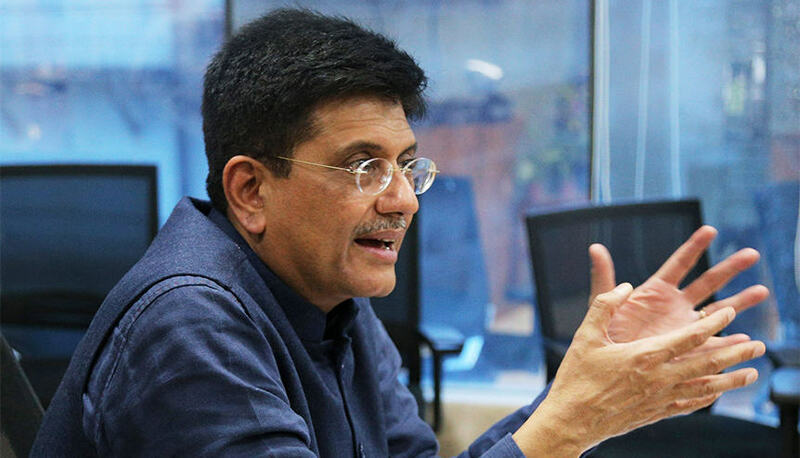 Goyal pointed out that GST has stitched 29 states and seven Union Territories of the country into a common market and ushered in, from an economic perspective, a truly United States of India, where previously there had been, effectively more than 30 discrete and partially protected markets. Trucks can now move from Point A to Point B anywhere in the country without having to spend days at check posts at every state border, waiting for often corrupt local officials to clear their path forward usually on the payment of speed money. And the fight against black, or unaccounted, money has, following the cathartic demonetisation exercise two years ago, begun to yield concrete results. Undisclosed income of about $20 billion has come to light in the last two years alone and about $7 billion has been seized, Goyal revealed in his Budget speech. All this heavy lifting over the past four-and-a-half years has allowed the Modi government to consolidate the gains to the economy and provide relief that will spur consumption-led growth in the coming years. And by setting aside Rs 60,000 crore ($8 billion) for the Ayushman Bharat insurance scheme, the government will be providing a massive push to the healthcare industry. Both Indian and foreign pharma, medical equipment, diagnostic and other companies will benefit from this. Likewise, the social security scheme, in the form of an old page pension for workers in the unorganised sector, will also directly benefit millions at the bottom of India’s economic pyramid and set of a virtuous cycle that will benefit the entire economy. Goyal’s first Budget makes a strong political statement and reiterates Modi’s evocative inclusive slogan Sabka Saath Sabka Vikas. And coming three months before the General Elections, it couldn’t have been better timed. Will it give him another term? Even former Prime Minister Manmohan Singh conceded after Goyal’s speech that it will have an impact on the election. Now that’s the closest any Opposition politician will come to saying he couldn’t find much in it to criticise. And that’s saying a lot.